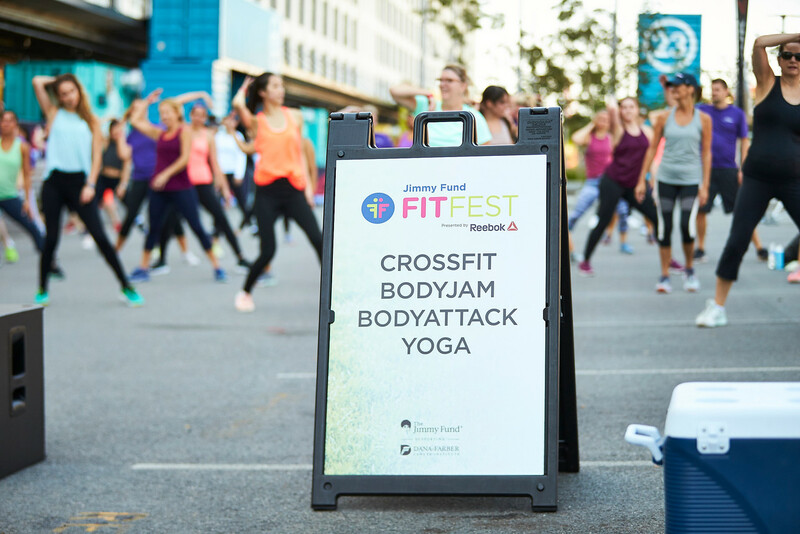 2018 Jimmy Fund Fit Fest at the Reebok headquarters in Boston on Saturday September 29th. Last week the PharmaLogics team participated in the Jimmy Fund Fit Fest presented by Reebok. The fitness festival was organized to support Dana-Farber Cancer Institute and the Jimmy Fund. Proceeds raised will help fund adult and pediatric cancer care and research to improve the chances of survival for cancer patients around the world. With fitness classes taught by Boston’s best trainers and a post-sweat social featuring snacks and refreshments provided by Harpoon Brewery, the fest was a booming success and a super fun day for a great cause! The PharmaLogics team not only took part in the event, but we were also named the 2018 Jimmy Fund Fit Fest Top Corporate Team Fundraiser! Raising over $3000 for a fantastic cause, the team was ecstatic about the outcome of our fundraising efforts. We loved being a part of this awesome event for a great cause and can’t wait for next year!